After reading a backup failure story I thought it was time to document my digital footprint. When I die, I guess the most important thing is that family photographs can be easily passed on to my wife and kids. Until about 2015 these are all upon Flickr, with my pal Jamie maintaining a copy with a convuluted backup script. Since then, pretty much all my photographs (and family videos) are stored with iPhoto / Apple cloud. I don't really have a local backup. I used to try maintain one, but I just don't have the time anymore to tether my phone and try sync down everything clumsily using iFuse. 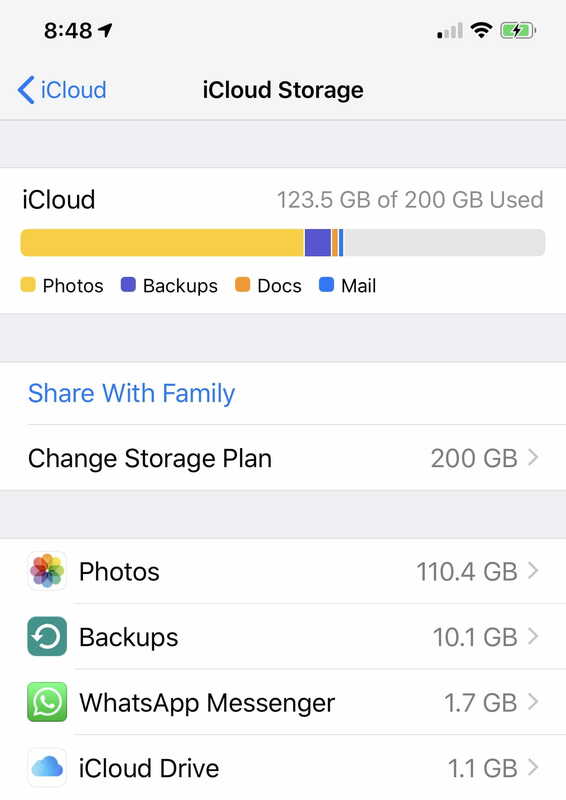 iCloud's solution is very attractive to me, since we have a Family setup, so if I was to die, I am going to assume that all my photos and shares would pass onto my family members. Tbh, I need to check this assumption. Besides photos there are little issues like my account password list which is hard for anyone except me to use, ssh private key, bitcoin wallet.dat with a couple of hundred bucks. Perhaps Jamie could pick up the pieces, but I doubt it would make sense of his time to do so. Conclusion: Going forward I should make an attempt to import my older Flickr images into Apple's iPhoto just for sheer convenience sake. And videos too, like my Wedding video. My home FreeNAS which I am pretty happy with has RAID copies of all my original media, a Flickr backup, programming/work files and so forth. The bulk of the space is the raw 4K video shot with my GH5 for my Youtube channel over the space of a couple of short years. I guess if I lost my FreeNAS, it wouldn't be such a bit deal. I could download copies of my produced videos from Youtube, though it wouldn't be ideal. if the FreeNAS data corrupted through my own error, the offsite backups would also be corrupted, right? Not so long ago I was kindof adamant that https://natalian.org/ like http://cat-v.org/ would stay online forever. Tbh, I have lost that ambition to achieve that, since I realise I would just be burdening my friends and offspring for content that doesn't really have any importance to any one except myself. So I hope this blog helps explain my thinking with regards to my digital legacy and hopefully with your feedback it can be improved. I do have most of my eggs (precious family memories) in Apple's iCloud Photos basket right now and I should check my recourse there. Tbh I am little confused how unshared photos can be just passed on to my family group and how they can sync the whole thing to a local disk from the Cloud. Update: Left a link on Reddit to solicit comments, best suggestion there was to create a photo book.